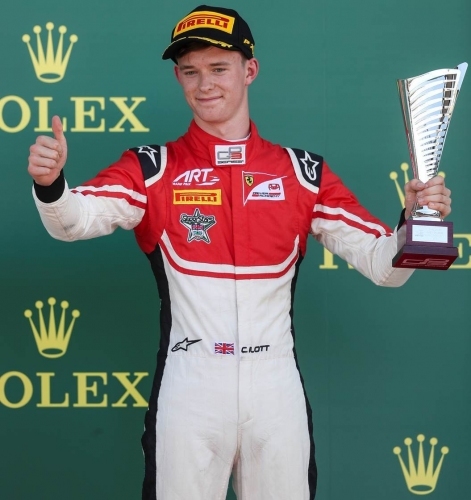 Ferrari Academy Driver Callum Ilott secured his fourth podium of the 2018 season this weekend, finishing third on the eve of the British Grand Prix at Silverstone. Continuing his run of scoring points in every race so far, Ilott followed up with a fifth on Sunday as well as bagging fastest lap in both outings at one of the quickest tracks on the calendar. The championship reaches the halfway stage at Hungaroring on July 27th. Before Hungary in two weeks’ time, Ilott will head to the Italian mountains for his next Ferrari Driver Academy training camp. “We’ve got trekking, some serious mountain-biking and even paddle boarding scheduled. After a couple of days rest this week, it will be time to continue the training ahead of the next few rounds.” concludes Ilott.